Zela, a planet with high technological progress, is suddenly threatened by the presence of a black hole. The aliens then decide to invade the Earth to make it their new home. The terror begins with the assassination of ESPers, humans with extra-sensory powers, the only ones able to worry the aliens. 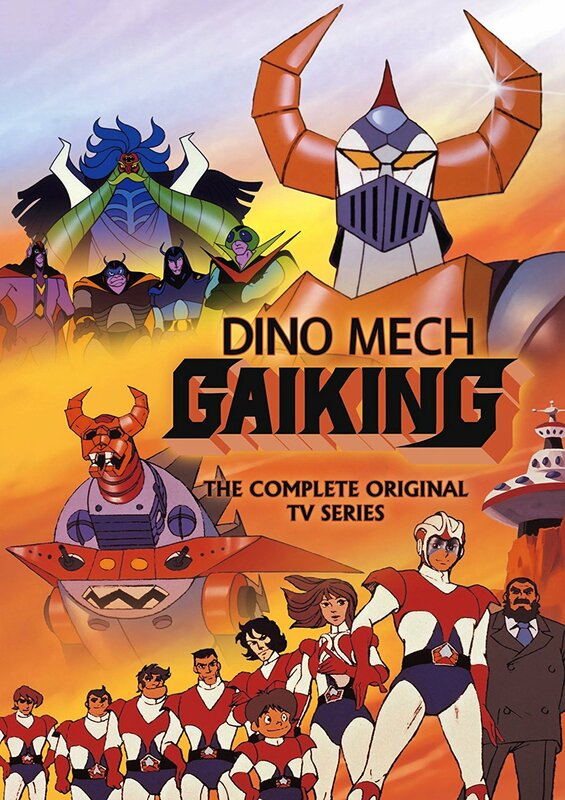 Professor Daimonji, a brilliant Earth scientist, immediately realizes the danger and builds the Daiku Maryuu (a huge dragon-based base of operations) and Gaiking (a mighty robot) to protect Earth from alien attack. It also creates three vehicles to help Gaiking in case of need: Bazolar (to operate on land), Skyler (to operate in the air) and Nessar (to operate in the water). After building them, he brings together a crew of brave young men to help them protect the Earth. The most powerful weapon available to the dragon is the great Gaiking. A young baseball player, Sanshiro Tsuwabuki is recruited to pilot the Gaiking because of his special powers. The Zela try to kill him but the crew of the Dragon intervenes and manages to prevent it but the boy's wrist, however, is injured irreparably. This incident ruins Sanshiro's baseball career but begins to pilot: in fact, the special power of this boy is the ability to load the objects of energy, a dowry that is exploited in piloting the robot by loading the weapons. After a series of misunderstandings with the crew, Sanshiro willingly accepts his role as a pilot and begins the series of battles against the aliens to defend the Earth from the threat of invasion. Following an internal dispute, Darius the Great and his henchmen leave the planet, leaving the inhabitants of Zela to their fate. Fortunately, the last survivors manage to escape aboard a spaceship from which they watch astonished at the destruction of their world. Meanwhile Darius manages to trap the Daikyu Maryu on Mars, inside a glass capsule and Gaiking, to come to the aid of the Dragon, must leave the Earth at the mercy of black monsters. Taking advantage of the fact that the land defense has remained unguarded, the aliens land on the planet and begin the invasion. After freeing the Dragon, Gaiking returns to Earth to find Tokyo half destroyed. After destroying the enemies quickly, Gaiking flies to Mount Fuji to meet Darius the Great. The final battle begins: the four generals attack the Daikyu Maryu while Darius fights against Gaiking. In the end the four generals are killed and Gaiking burns the alien leader but the enemy does not die because it turns out to be an android. But it is still Sanshiro's ability to throw the ball to save the situation: by modifying his Watering in a rotating fireball he hits the enemy like a bullet. The blow drives Darius crazy and his main computer is destroyed. After a long war, Gaiking gives peace to the terrestrials and to the tried people of Zela who, in the meantime, has reached the Earth, looking for a new world on which to live peacefully. The show was initially broadcast in a heavily butchered form in the Force Five block on Mondays and was also shown as El Gladiador (The Gladiator) in a block called El Festival de los Robots alongside Starzinger, Jeeg, Steel Robot and Magnet Robot Ga-Keen. It was also broadcast in Italy with a catchy disco opening. The show was later re-released as three compilation movies with a new English dub in 2013 by Shout! Factory. The uncut subbed episodes were later released by Discotek Media in 2016.